Join Us In Malawi For An 8 day Safari & Charity Expedition! 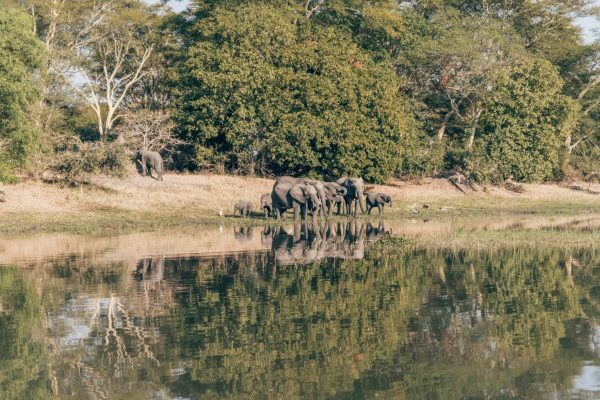 Join We Are Travel Girls Founders Becky van Dijk and Vanessa Rivers as they spend a week discovering Malawi, taking part in inspiring community mentoring work, visiting the beautiful rolling tea estates, a 2 night safari, including a river boat safari, and ending on the idyllic Mumbo Island. This expedition is aimed at ladies wanting to travel with a purpose, take part in inspiring community initiatives and discover a little known slice of Africa. Partner Company: Responsible Safari Co.
Who Is The Expedition For? The Malawi expedition is for the adventurous female traveller looking to give something back during their travels! 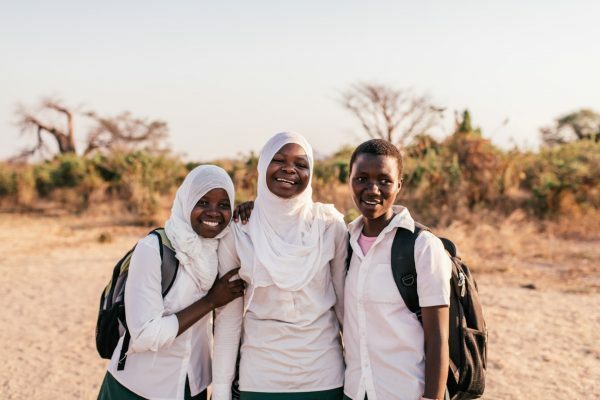 The expedition to Malawi combines seeing a new country, exploring and going on safari with time spent with communities, in particular mentoring young women. If you are looking for a more meaningful trip, an opportunity to gain an insight into key global challenges facing rural communities in Africa and to give something back then this trip is for you! Who Is The Responsible Safari Company? The Responsible Safari Company (RSC) is a Social Enterprise Tour Operator based in Blantyre, Malawi specialising in Sustainable, Educational, Philanthropic & Experiential Group Travel. RSC are committed to creating sustainable growth through social enterprise, reducing the dependence on the aid industry and driving tourism generated income to rural communities. 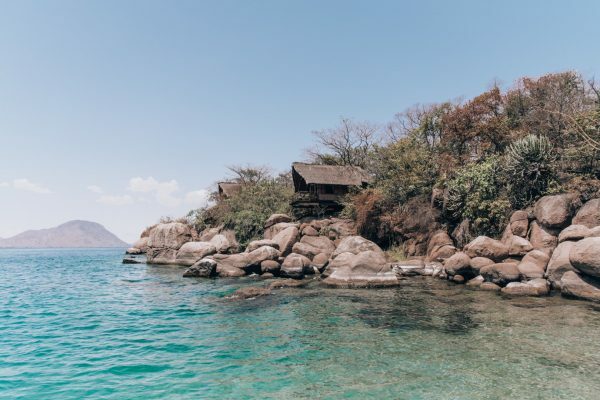 From its undulating mountains to the shores of its stunning lake, the fact that Malawi has traditionally been overlooked as a mainstream destination means that you will find hidden gems at every turn. Malawi supports a diversity of landscapes, ecosystems and cultures and is affectionately known as ‘The Warm Heart of Africa’. You will spend two days in a village in Malawi working with the local community and learning about their culture and the challenges that face them. We will spend time with Rainbow Hope School, Amaya Nursery and The Book Bus. We will participate in school workshops and sports and a fundraising campaign prior to the trip. For a more detailed outline of all the activities we will be doing, please see the full sample itinerary below. For this expedition we have chosen a range of unique rustic luxury accommodations! During the trip we will be staying in 4 different rustic luxury accommodations, including Mvuu Camp on the banks of the Shire River which has beautiful views and is ideally located for game viewing straight from your room! Makakola Retreat sits on wonderful stretch of sandy beach on the southern shores of Lake Malawi. The rolling hills of the Tea Estates are beautiful, and Mumbo Island is breathtaking, surrounded by crystal blue waters of Lake Malawi! 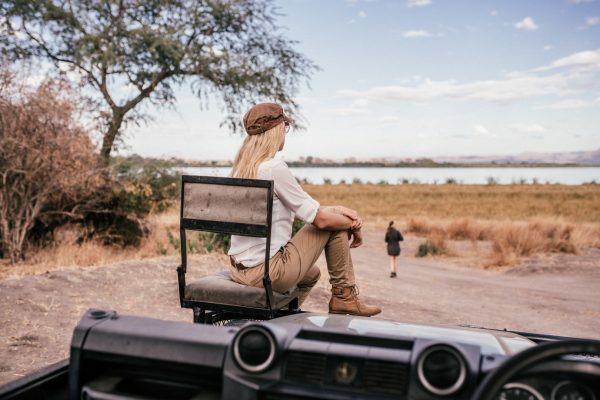 Together with an experienced local Responsible Safari guide, your hosts for this trip will be the founders of We Are Travel Girls Becky van Dijk and Vanessa Rivers. Becky and Vanessa are excited to welcome a group of women to join them on this special and impactful trip in the warm heart of Africa! Together they hosted the first Malawi trip in 2018, they fell in love with the country and the people. They both loved the community work aspect, along with the incredible safaris in Liwonde National Park and cannot wait to return in 2019. Becky is the lead host on all of our Travel Girls Getaways, she loves planning unique trips around the world that bring women together to have once in a lifetime experiences. As an avid surfer and snowboarder, Vanessa is a co-host on many of our active escapes and charitable expeditions. On the expedition we will be travelling throughout Malawi to experience the African culture, participate in fun activities as well as community volunteering. My life has changed markedly since you and your endeavours have been made known to me. I admire you and Dom and your crew immensely for what you are doing. I only wish I was young again because believe me, I would join you in your endeavours. Going to Malawi was one of the greatest, one of the most rewarding things someone could do. It opened my eyes to the people in Malawi's lives and how they are so hard working and happy with everything they have and get. Everyone there is welcoming and friendly. Overall it was the best experience I have ever had and I'd go back in a heartbeat. RSC is a family run Educational, Experiential & Philanthropic Travel company. Operating exclusively in Malawi, RSC provides specialised planning and logistical support for School Expeditions, University Field Trips, Charity & Adventure Challenges, Donor and CSR Groups as well as Independent Travellers. Concentrating around tailored Educational Workshops & Challenge Events, we work in partnership with inspiring Community Initiatives offering immersive learning opportunities for students & businesses to gain an insight into key global challenges facing rural communities in Africa. Once your application is received and your booking confirmed a non-refundable deposit of 20% of the trip cost is due immediately to secure your place on the trip. The balance of the payment is due 3 months before the trip start date. Once your booking is confirmed your deposit payment and full balance payment invoice will be co-ordinated by Responsible Safari Company. CAN I USE ANY DISCOUNT VOUCHERS? Discount vouchers are not valid for this expedition as we are working in collaboration with a partner company who arrange and customise the trip for Travel Girls Getaways. Once your place is booked you can notify us of dietary requirements which we will seek to accommodate throughout the trip. The trip will be active exploring Malawi. We will be hiking and going on safaris during the trip. You can also participate in other optional activities such as kayaking, diving (not included in price) and snorkelling. Absolutely! The expedition is an opportunity to connect with a group of women from all over the world and make new and lasting friendships. The majority of our guests come solo on our trips. Once you have booked your spot we will send you a list of suggested things to bring with you to Malawi. WHAT CAN WE EXPECT TO SEE ON SAFARI? Of course there are no guarantees of what you will see on a safari! Liwonde National Park is famed for it’s large population of Elephant, Buffalo and Hippo. The park recently introduced Rhino, Lion & Cheetah so there are chances of seeing these as well. There are also lots of plains game including Antelope, Zebra, Impala & Waterbuck. Once you have completed your application for the trip, we will respond to you within 48hrs to confirm we have received your application. On this email we will copy Kate and Dom Webb of The Responsible Safari who will contact you to arrange a phone call to discuss the trip and explain the itinerary and the work we will be doing with the community. 1. Once you confirm you want to proceed to booking in writing, an email is sent out with log-in details for the Responsible Safari Client Zone with full itinerary details and an Invoice request for 20% deposit payment. 2. Once the deposit is received, the Booking Form & Travel Pack are both sent out (via email) by Responsible Safari. 3. The Responsible Safari team are available at any time for any questions or queries in the run up to the travel date. Email contacts are kate@responsiblesafaricompany.com and dom@orbis-expeditions.com. In addition, you can contact Becky and Vanessa at any time by emailing contact@wearetravelgirls.com. 4. Balance Payment is required 3 months prior to departure date. All rooms are shared occupancy with one other female guest. HOW MUCH TIME WILL BE SPENT WITH THE COMMUNITY? We will spend 1.5 days with the community in the villages. The Responsible Safari can arrange extra days in Malawi. Perhaps you would like to stay an extra day or two on Mumbo Island? Or explore the north of the country? Or take part in some more community work? You can discuss options with the team at The Responsible Safari when you are booking your place on the trip. WHAT INSURANCES DOES RSC HAVE? RSC holds comprehensive International Public Liability cover in both Africa & UK. Evacuation cover through Global Rescue. RSC is based in Malawi and offers 24 hr support. Their British in country manager lives in Blantyre and is in contact with every group upon arrival and throughout your time in Malawi. A trained local RSC guide will be with the group every step of the way. The guides have basic first aid training- updated annually. All RSC Vehicles have seat belts and are fully insured. WHAT EXPERIENCE DOES RSC HAVE IN MALAWI? RSC has been operating in Malawi for 9 years and has worked with over 7,500 people visiting the country. Yes, there is a minimum group size. We require a minimum of 10 confirmed participants to run the trip. As per our terms & conditions if the running of the trip is not deemed financially viable we reserve the right to cancel the trip. In this situation you will be refunded all monies paid to We Are Travel Girls. WHAT VISA DO I NEED FOR MALAWI? Visas are required for Malawi. It is your responsibility to research what visa is required based on your country of origin / nationality. More information can be found here on the Malawi High Commission Site here. The Responsible Safari company can assist with your visa applications in advance of the trip. Once your place is booked on the trip you will email a photocopy of your passport through to info@responsiblesafaricompany.com. The Responsible Safari Company will fill out the paper work on your behalf prior to your arrival and you will then present your passport along with US $75 in US cash to the RSC representative on arrival to obtain your Visa Stamp through the local Immigration Official. Please complete the booking form to join the Malawi Safari & Charity Trip in November 2019. Please only complete the booking form if you are seriously interested in attending the trip, the price is within your budget and you can travel on the specific retreat dates available. If you are interested in the trip but November 2019 does not work for you, please use our Expression of Interest form and we will keep you updated on new destinations, special offers and when bookings open for future Malawi trips. Next steps: Once you submit your booking form we will email to confirm receipt of the form and provide next steps for making your deposit payment and securing your place on the trip.